Contact us in Leicester today! 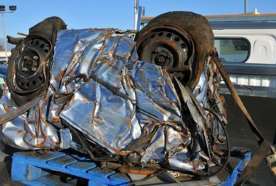 Disposing of your scrap vehicles is made easy by our trustworthy, hassle-free service here at Disposeacar. Providing scrap vehicle disposal services in Leicester and the surrounding areas including Oakham and Rugby, we accommodate a wide range of unwanted vehicles. Our qualified team will do their best to accommodate all your needs, arranging a time with you to collect your vehicle, or for you to deliver it if you prefer. 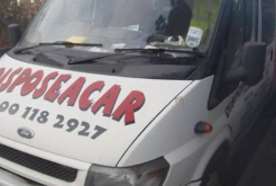 Here at Disposeacar, we have been providing scrap vehicle disposal across the Leicester area since 1999. Contact us now for an instant quote for the value of your scrap vehicle. 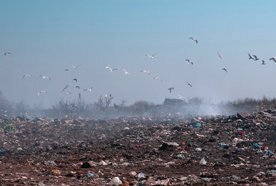 Your vehicle will be recycled in our de-pollution scrapyard in accordance with the Environment Agency Regulations, so you can be assured your vehicle is in safe hands. We aim to accommodate all vehicle requirements, including MOT failures and non-runners. 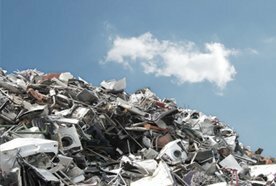 We offer a FREE collection service for your scrap vehicle, making it even easier to scrap your vehicle. Call us today for the best possible price, or fill in our online contact form and we will come back to you promptly. Unlike many car disposal services, our payment for your vehicle is instant. Providing extremely competitive prices for all vehicles, including motorcycles and caravans, our immediate payment system guarantees you the price quoted to you upon enquiry. As we are registered with the DVLA, you can trust that our experienced team will fill in all the paperwork on exchange, and you will receive your certificate of destruction. 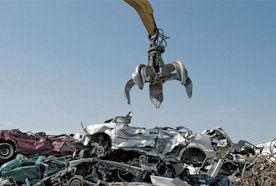 If you require scrap vehicle disposal in Leicester and the surrounding areas, please do not hesitate to contact our experienced scrapyard team on 07957758552 or 01162 230649.